Demand an End to killing Wild/Feral honey bees and stop Florida from making Live Bee Removal Illegal for Beekeepers! Florida is trying to make Live Bee Removal illegal for beekeepers! This effort must be stopped! Our wild/feral honey bees need to be protected – as well as all of our native pollinators! Saving honey bees is critical – without pollination we would not have food! Limiting live bee removal means killing more pollinators as well as more peticides flooding our environment. With colony collapse disorder and parasites and viruses inundating our honey bee populations we need all the honey bees we can get. We need the freedom to have our honey bees removed as we see fit. If this becomes a rule or a law home owners will no longer have the right to choose to have their honey bees removed alive and will be forced to exterminate them ! "Maybe" the pest control operators will save them even though this education is not taught for a pest control license. 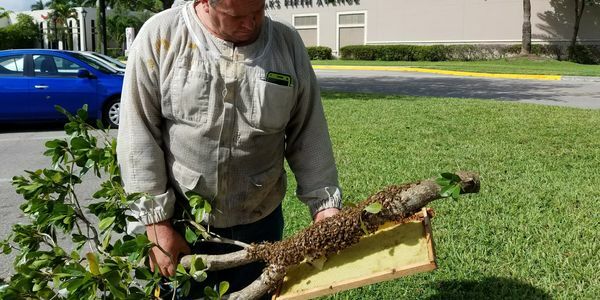 Please tell the state of Florida that you won't stand for this and that you support Live Bee Removal by beekeepers and our Wild/Feral Bee populations! Please help and sign below!